We cover anywhere in the UK and we guarantee we will find you a venue within 1-3 miles of your post code. 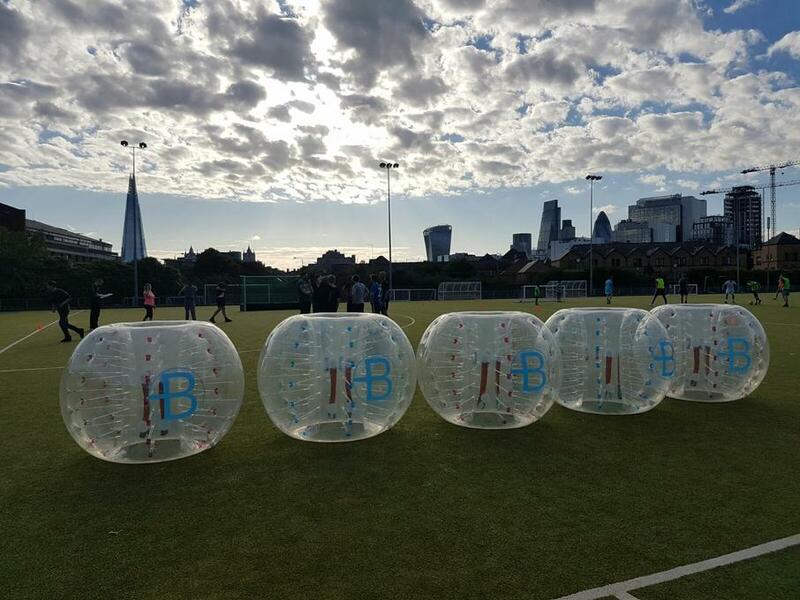 We are the largest bubble football company in the UK. All of our coordinators have completed an intensive Bubble Football training course. We cater for ages 6 and above and have smaller bubbles for under 10s. Prices starting at £15 per player. Bubble Boys were great. Bobby arrived in plenty of time to get the kit ready. It was a blustery day but still managed to make it a really fantastic event. There were about 15 of us playing and we all really, really enjoyed it. Very friendly, relaxed company who arrived early to set up. The boys had a fab time. The only thing I would say is that the shoulder straps inside caused a few issues of rubbing on the boys’ necks, so would recommend a sweatshirt for added comfort, despite being warm in them. Would recommend this company. The evening was brilliant. The equipment was great, they arrived in great time and the host was clearly experienced in what he was doing. Th boys described it as the best weekend activity that they have done. My only gripe was the pre-information. It would have been good to get an email letting me know what time they were arriving at that they were definitely going to be there. I chased up just to check. As the activity is extremely tiring we tend to do short matches. Around 6 minutes but this is flexible. Do you run the session? Yes, all sessions come with a fully trained event coordinator. Typically an hour but if you have more than 20 player we recommend adding on some time. £50 per half hour. Do you cover my location? If you are in the UK then YES, we cover anywhere in the UK. 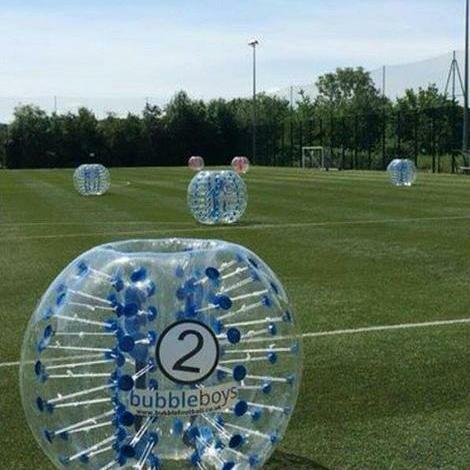 Bubble football for groups up to 50 players. Good, drink, filming and custom packages - we got you!